Hello everyone, and season’s greetings from Dallas, Texas! I am on assignment as a locum tenens for the next several months, so I will be traveling around the United States quite a bit. In the meantime, this blog post by Marian Ruiz over at Borderzine caught my eye so I thought I would share. 1. I know Mexicali, MX. 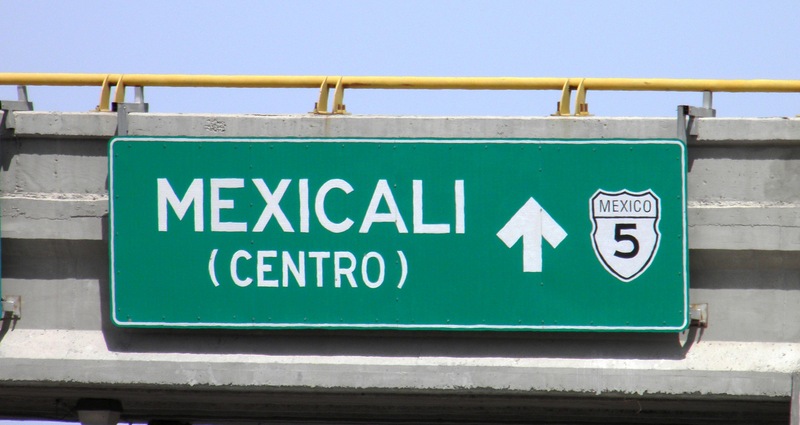 Mexicali is one of my favorite cities. I guess it’s an occupational hazard; since Bogotá ranks pretty far up there on my list, as well. After spending several months there writing my most recent book, this area of dusty and hard-packed, sun-scorched concrete, asphalt and dry dirt became near and dear to me. 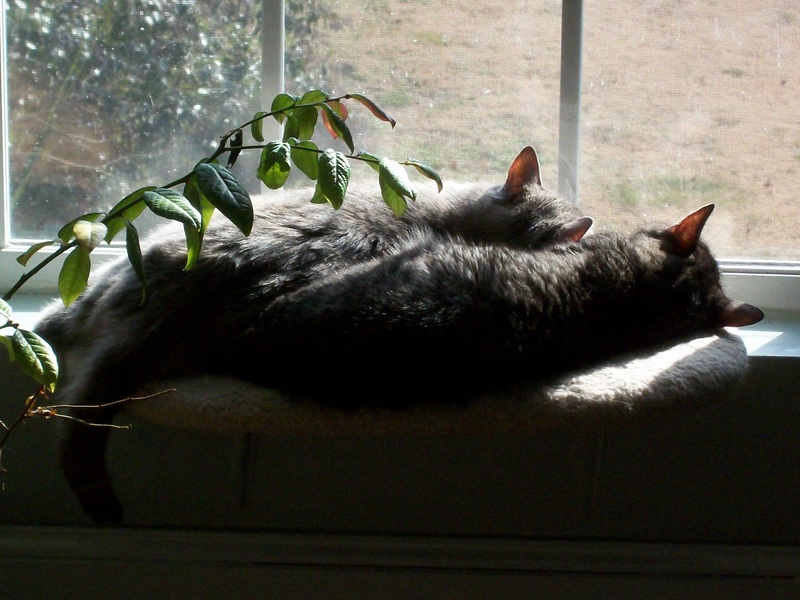 Our cats (at our home in Virginia), circa 2010. Over the course of several months, both of our cats saw veterinarians in Mexicali – including two different ones – on Avenue Maduro and another office, closer to our apartment. We also went to the veterinary college in Mexicali. 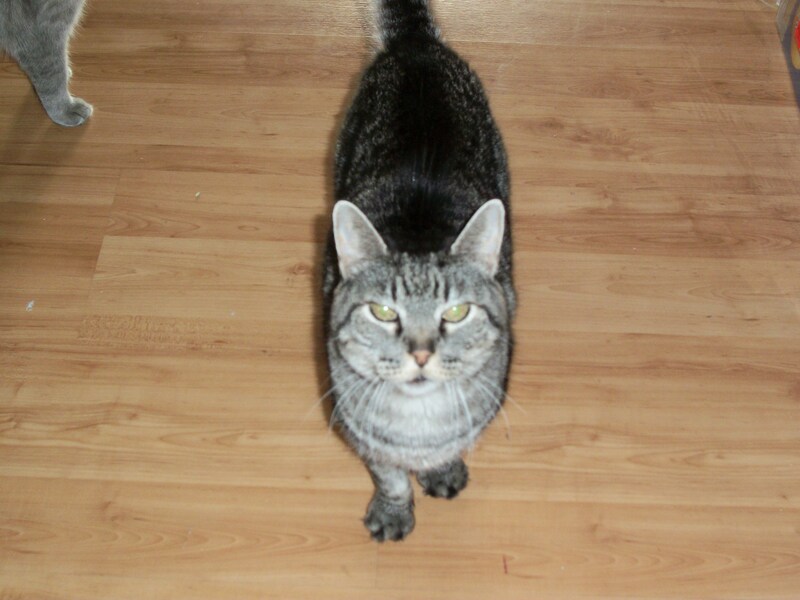 But our experience was a little different from Ms. Lomas and her seven dogs, particularly for our geriatric cat. In fact, at each clinic, the veterinarian expressed surprise at Sid’s age. In what turned out to be his final illness, we were forced to go across the border to El Centro, California to get Sid the aggressive, intensive care that he needed. Sadly, he was too sick and too weak – so we brought him back to Mexicali to our apartment to die. 3. Many Americans have “close” relationships with their pets that maybe considered uncommon in other cultures. What we found during this experience wasn’t that veterinarians on either side of the border were more or less qualified than the other. What we found is that the cultural expectations and the role of pets varied significantly by country. (I am certain that a case could be made that there were several other factors as well – such as our familial and socio-economic status). For our vet in Mexicali – Sid was our beloved pet, and they were happy to offer compassionate and competent care. For our vet in El Centro – he understood that like many childless, middle-class couples, Sid was more than a pet – he was family. [Not everyone feels that way about their pets – but all of us know people who do.. However, not all cultures view this ‘child-pet’ attitude as indulgently as we do.] This meant that the vet offered more services and treatments (like emergency dialysis, and mechanical ventilation) for our ailing, long-term companion that they did at the vets’ offices in Mexicali. In the end, it didn’t make a difference, after 17 years, my cat was at the end of his life. We didn’t put him on dialysis, or advanced life support. Instead, we made him as comfortable as possible and watched him slip away from us, surrounded by people who loved him (my husband and my dear friend). But the focus of this story isn’t about pets, veterinary care or Mexico at all. It’s more about the importance of cultural context and cultural values related to health care. In fact, one of the reasons that I focus on health care / medical tourism in Latin America is due to concerns over differences in cultural expectations related to health care. In general, these differences are minimized for people from the United States when they receive care from Latin American providers due to similar cultural backgrounds and cultural expectations. (A good example that highlights the differences in healthcare related to culture that is often cited in the literature has to do with end-of-life and ‘futile care‘.) This is care that may be very expensive to provide – and may actually do nothing to prolong life. It’s one of the hallmarks (or pitfalls) of American healthcare. But then again, it’s only a pitfall, or ‘wasteful spending’ when it’s not your family member. Translated this ‘futile care’ means that in most parts of Northern America, metropolitan areas of Latin America, people may receive treatments (like dialysis, prolonged mechanical ventilation/ or other artificial ‘life support’) despite having minimal or a low or no chance of survival. Ethicists can debate the issues related to the use of limited or scarce resources to keep someone’s elderly grandmother, or extreme ‘preemie” baby alive, but for the most part – doctors (and patients) in Bogotá, Mexico City, Dallas, Texas or Washington, D.C. all want the same level of care and are willing to provide some level of this care, even when doctors feel it may be futile in nature. It is part of the culture, and the cultural expectation shared by most patients. However, if you contrast that with other common medical destinations (by country, not facility), the answer is not always the same. If the average life expectancy/ infant mortality / or level of available technology is dramatically different, than the cultural expectation of “appropriate care” may be very different. That isn’t to say that the doctors or families of patients in these countries care about their patients any less. However, it may translate to a very different level of care in similar circumstances. For example, I currently work in a surgical program that specializes in providing valve replacement (cardiac) surgery to the extreme elderly (patients in their late 80’s and early 90’s). In other cultures and societies, expensive and scarce medical resources would not be allotted as freely to this group of patients. It’s one of the concerns in our own country with the advent of ‘Obamacare’ or a socialized medicine schemata, and it is a legitimate one. Whether or not we consider it right or appropriate to offer this level of care to high risk groups is often debatable, but as Americans we take it for granted – that we have the right to decide this for ourselves. We might not be as happy if it’s not offered (or available) to us as medical tourists somewhere else. *This field of study is a subspecialty of Sociology – while it’s not scientific, the linked description on wikipedia may be helpful for readers who want a basic overview on some of the ways culture affects health beliefs and behaviors. This entry was posted in Issues in Medical Tourism, Medical tourism in Mexicali, Medical tourism in Mexicali and tagged health and illness across cultures, medical tourism for pets, Sociology and health. Bookmark the permalink.